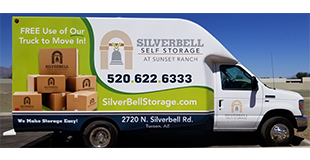 Silverbell Self Storage is a great place to store your vehicles when not in use. Here are some basic tips for storing your car or boat in a storage unit. Please keep in mind, these are general tips, and may not be suitable or adequate for your particular vehicle. Please consult your vehicle manual first, as improper long-term storage can lead to damage. Make sure both the interior and exterior of your car are clean. For long term storage, the car should be waxed. Change the engine oil before long term storage to prevent contaminants from damaging your engine. Check automatic transmission fluid, brake fluid, power steering fluid, washer fluid, and coolant. Change old fluids before long term storage. Flush if contaminants are present. Before long term storage, fill up gas tank to prevent moisture accumulation or drying out of seals. Add fuel stabilizer. Remove tires and place your car on jack stands for long term storage. For short term car storage, you can over-inflate your tires to prevent flat spots. Keep engine brake disengaged to prevent it from getting stuck. Use wedges to prevent car from rolling if you are not removing the tires. Consult your manual for instructions on protecting the battery. It is generally recommended to disconnect the negative terminal or to remove entirely and store with a trickle charger in a climate-controlled environment. Store your car in a storage unit. Depending on the type of car, you may want to consider one of our climate-controlled units. Seal off all gaps or crevices in the vehicle with tape or plastic bags to prevent pest infiltration. Place mothballs or cedar wood inside and around the car. Remember to remove these when driving the car again. Use a tarp to cover the car to protect from dust. Our storage professionals will provide you with a heavy-duty plastic floor covering to prevent damage from any leaking fluids. Check your unit at least monthly. Boats vary significantly from model to model. Taking improper steps can lead to significant damage and costly repairs, so consult the manual for your boat before taking any steps to prepare for storage. Add fuel stabilizer to the gas tank prior to the last usage before storage. Fuel stabilizer prevents degradation of the engine oil during long term storage. Adding it to the fuel before usage ensures that stabilized gasoline runs through the engine lines. While the engine is running, spray fogging oil into the carburetor. Stop the engine and remove spark plugs. Spray fogging oil into the cylinders, while gently turning over your engine. Replace the spark plugs. Wipe down engine with fogging oil. While the engine is warm, drain and refill oil, drive gear lube, and transmission fluid. If contaminants are present, flush out to prevent corrosion during long term storage. Drain and flush coolant systems with water. If you live in a cold environment, run anti antifreeze through the system. 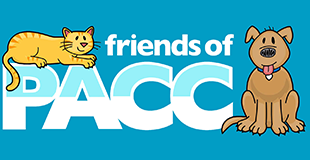 Drain any water tanks or water coolers and fill with antifreeze. Re-apply grease to all locations. Disconnect and remove the battery. Clean the battery and terminal ends with battery cleaning solution and apply protectant spray. Attach a trickle charger to the battery and store in a climate-controlled environment. Remove all detachable electronics and store in a climate-controlled environment. Clean your boat inside and out. For the interior, be careful not to leave food behind. Remove all sensitive furniture to store separately. Keep all compartments open, and place boxes of baking soda throughout the boat to prevent moisture buildup. Apply rust inhibitor on all metal surfaces. Clean the bilge(s) and apply antifreeze once dry. Clean the exterior and apply wax if necessary. Store boat in a climate-controlled storage unit. Cover your boat with a tarp to protect from dust. Use a plastic bag or tape to seal all crevices and ports. Remember to remove them before using the boat again. Our storage professionals will provide you with a heavy-duty plastic floor covering to prevent damage from any leaking fluids. Check your unit at least monthly.